Microsoft is most often associated with the Windows operating system and the Microsoft Office software bundle, but its forays into hardware have been successful as well. In fact, the Microsoft-manufactured Xbox gaming consoles have been some of the most popular for over a decade. In case you aren’t aware, Microsoft makes tablets too. And since these tablets are powered by the Windows operating system that’s made Microsoft a household name in the computer business, these tablets have all the power you’d expect from a full-sized PC in a small package. Microsoft tablets are great for business. If you need some portable power to make your life a little bit easier when you’re away from home, take a look at our list of the best Microsoft tablets for some help deciding. We’ll break down all the different models to help you make your decision. Why Buy a Microsoft Tablet? 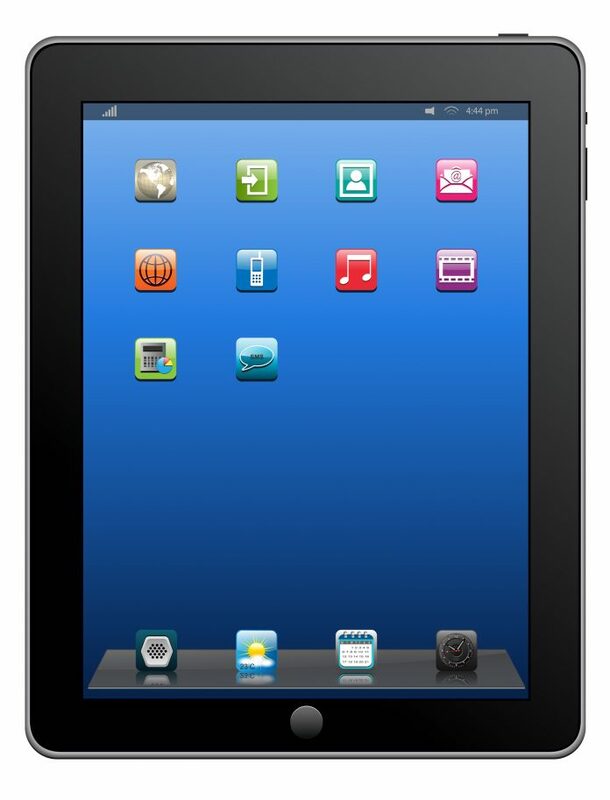 Most tablets come with some sort of mobile operating system – either Android or iOS. While these operating systems are fine for handling basic tasks that the average user needs a tablet for, professionals need the power of a full-blown computer operating system. Microsoft tablets come with Windows 10 installed which means you get a full-fledged operating system in a mobile package. Because Microsoft tablets are designed to run a non-mobile operating system, they have beefier hardware. 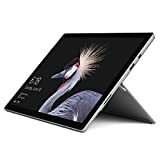 This beefier hardware makes them a bit more expensive than other tablets, but there are still a number of Microsoft tablets that are competitively priced. You can’t do a whole lot to your Microsoft tablet after you buy it since it’s expertly designed to fit in such a small package. However, there are a lot of customization options when you buy a Microsoft tablet because each tablet has numerous models available. You can find the model with the best processor, the most storage space or the best battery life – it all depends on what you value. What’s the Difference Between a Laptop and a Microsoft Tablet? You might notice that Microsoft tablets look sort of like a laptop. The main difference between a laptop and a Microsoft tablet is the fact that the tablet is designed for portability, which means it’s lighter and can be converted into a tablet-like state. These devices are also designed for better battery life since they’re made to be more portable. Since there aren’t a lot of Microsoft tablets to choose from, we didn’t have a whole lot to go off. The main things we looked at were the price and hardware of each tablet. Our ratings, however, don’t reflect the price of the item when it comes to the top-of-the-line models. We did make an effort to include options for a range of budgets so our list is useful to everybody. As far as hardware goes, our main concerns were the processor, graphics, storage and memory in each of the different Microsoft tablets. All of these components come together to determine how powerful and, ultimately, how useful your Microsoft tablet is, so we wanted to make sure the models we picked had enough power and storage to keep you working. When it comes to the price of Microsoft tablets – especially when you’re looking for the best Microsoft tablet – there’s a lot of variation. The cheapest Microsoft tablets on the market can be purchased for as little as $399 while the most expensive Microsoft tablet will cost you a whopping $2,399. However, there are also options for just about every budget in between. The main reason behind this vast difference in price is the fact that Microsoft tablets use the same hardware as laptops. You’re not buying a tablet with a mobile processor and 8 GB of storage – you’re getting an Intel Core processor with a blazing-fast SSD and plenty of memory. When you want the better versions of these components, you’re going to spend a lot more money. The Surface Go is the newest in the line of Microsoft tablets. This tablet is designed to travel with you everywhere you go while still providing power, whereas the Surface Pro has more of a focus on power. However, you still get a fairly powerful tablet in the Surface Go 64 GB. 64 GB of storage gives you enough space for pretty much anything you’ll need to do on this tablet, and Windows 10 in S mode gives you the capability to do a lot more. The Intel 4415Y is nowhere near the Intel Core processors you’ll find in the Surface Pro. You can buy this tablet directly from Microsoft at the Microsoft Store. Microsoft provides a one-year limited hardware warranty on the Surface Go. The 128 GB Surface Go model gets more than just a boost in storage. In addition to doubling the available storage space, Microsoft also doubled the RAM in this tablet – and it only costs about $150 more. A RAM and storage capacity boost make this a solid upgrade from the 64 GB version of the Surface Go but its price is starting to creep up on the Surface Pro, so it might be worth spending a bit more for that upgrade. The Windows 10 operating system on the Surface Go tablet is always in S mode, which means it’s not quite the full-fledged Windows 10 Pro you get with the Surface Pro. The 128 GB Surface Go costs $549. 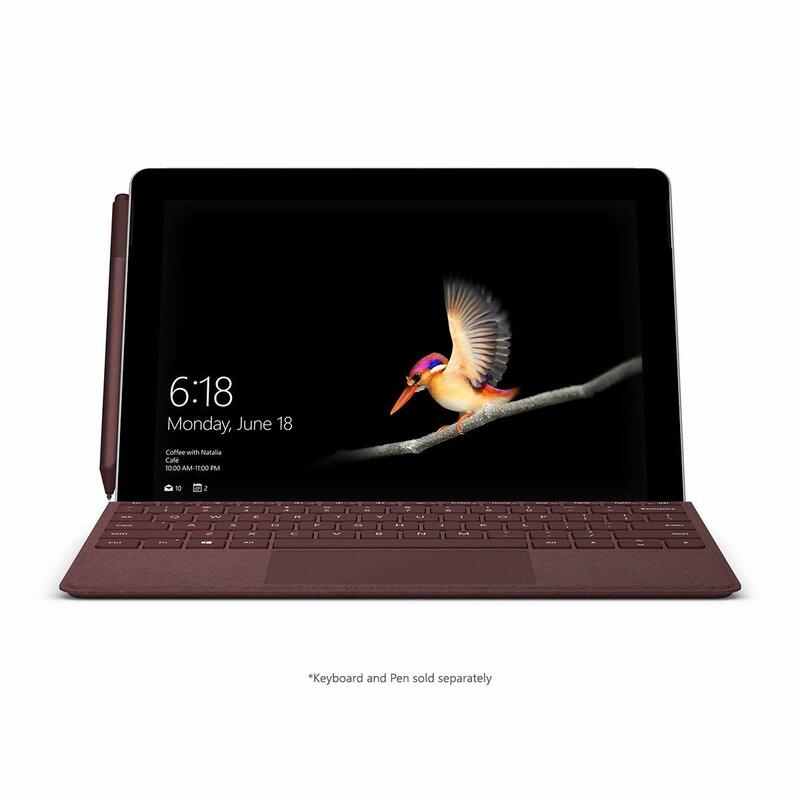 You can buy the 128 GB Surface Go from the Microsoft Store. All Surface Go tablets come standard with a one-year warranty. Although this isn’t nearly as powerful a tablet as the more expensive Surface Pro models that feature Intel Core processors, the entry-level Surface Pro with an Intel m3 processor will still give you access to the full Windows 10 Pro operating system. 128 GB of storage gives you enough room for pretty much anything you’re going to do with a tablet, and a microSD slot allows you to add more storage if you need it. The Intel m3 processor in this tablet is significantly less powerful than the Intel Core processors found in the more expensive models, and 4 GB of RAM is a bit less than the recommended amount for today’s applications. You can pick up the Surface Pro with Intel m3 processor for $669.99. This tablet is sold exclusively at the Microsoft Store. Microsoft offers a one-year limited hardware warranty on the Surface Pro with Intel m3 processor. Thanks to a current price drop on the Surface Pro with Intel Core i5, you can upgrade your processor and memory without having to spend an extra dime. At its regular price, the Surface Pro with i5 and 128 GB SSD is about $200 more than the m3 model. A big processor and RAM upgrade make this a worthy switch from the Surface Pro with m3, especially since the prices are currently the same. You still only get a 128 GB SSD which may not be enough for some. The Surface Pro i5/128 GB is normally priced at $999 but is currently priced at $704.88. You can buy this tablet from the Microsoft Store or anywhere else that sells Microsoft tablets. Microsoft provides a one-year warranty on all Surface Pro tablets. The LTE model of the Surface Pro i5 is a pretty hefty upgrade in terms of price but gives you unparalleled mobility compared to every other model on this list. Hardware-wise, it’s basically the entry-level i5 model with a 256 GB SSD. LTE connectivity means you can take this tablet with you everywhere you go and access the internet via a cellular provider, making it a truly mobile device. You’ll have to spend a lot more money to get your hands on a cellular-enabled Surface Pro. 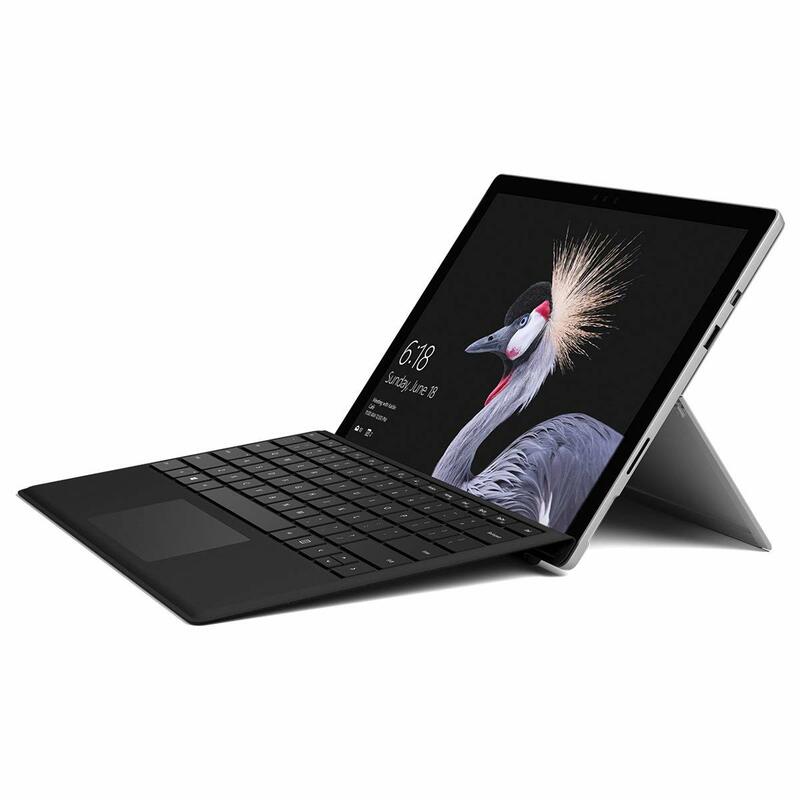 At $1,044, this is the most expensive Surface Pro with i5 by a large margin. The best place to buy Surface Pro tablets is the Microsoft Store. Every Surface Pro and Surface Go tablet comes with a one-year warranty. If you’re serious about getting a tablet with tons of power, you need to make the upgrade to the Surface Pro tablet with an i7 processor. The entry-level i7 Surface Pro will only cost you a bit more than an i5 model, and you’ll get a RAM upgrade. The 256 GB SSD is a bit less than expected with such powerful hardware. The $1,203 price tag of the Surface Pro i7 is very reasonable compared to the i5 and i5 LTE models. You can buy the Surface Pro i7 256 GB from the official Microsoft Store. This tablet comes with a one-year warranty from Microsoft. The coupe de grace of the Surface Pro lineup is the top-tier Surface Pro i7 which features a 1 TB SSD and 16 GB of RAM for absolutely beastly performance. This is the closest the Surface Pro gets to a powerful computer. A massive 1 TB SSD means you get to enjoy insane read/write speeds without worrying about filling up your SSD too quickly. The price of this tablet is out of reach for a lot of people even if there is a sale at the time. A higher price also makes it less desirable to travel with this tablet. The Surface Pro i7/1 TB/16 GB RAM retails for $2,368. The best way to buy this tablet is directly from the Microsoft Store. Microsoft offers a one-year limited hardware warranty on this Surface Pro tablet. 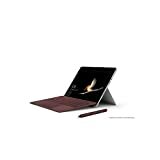 You can buy the Surface Pro i7 256 GB from the official Microsoft Store..
Microsoft doesn’t make the cheapest tablets, but they definitely make some of the most powerful ones. The Surface Pro and Surface Go are both designed to be like a laptop when it comes to performance and a tablet when it comes to portability, which is an excellent match if you’re looking for a business tablet. 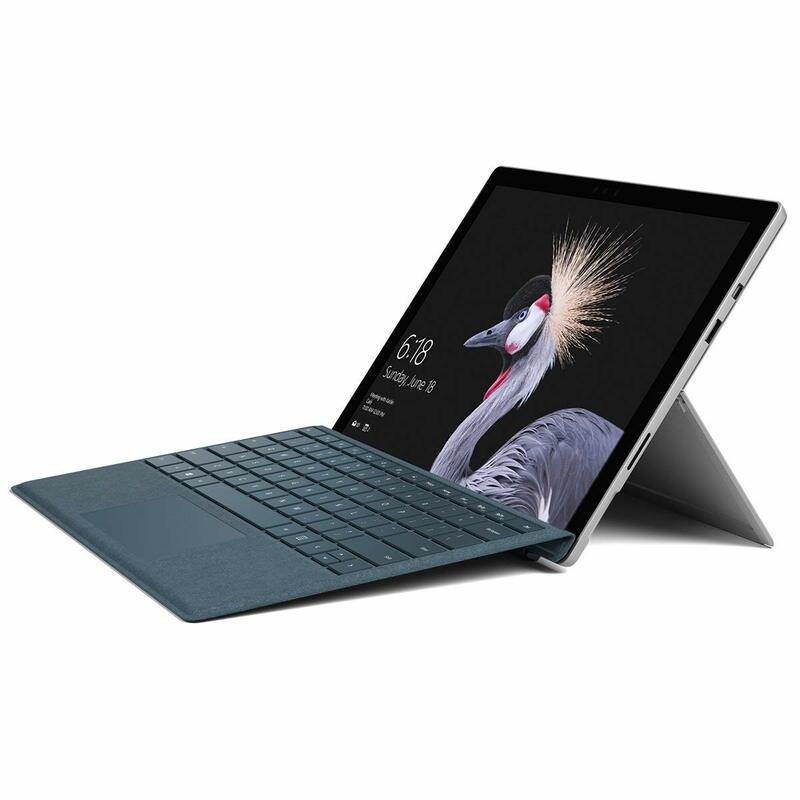 If you have the money, spring for one of the high-end Surface Pro tablets with plenty of storage and an i5 or i7 processor. 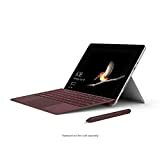 If you can’t afford one of these expensive models, both Surface Go models are still perfectly viable Microsoft tablets that are great on the go.